Wilson Timbers will deliver your quality timber and hardware right to your door… in the quickest possible time! 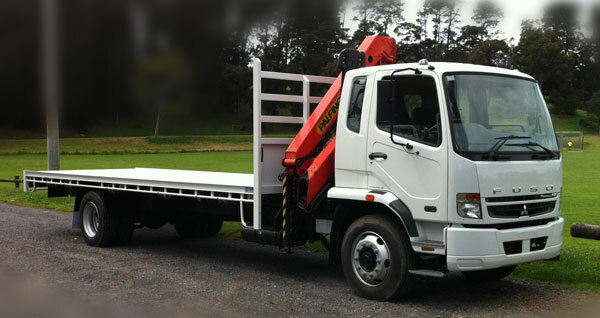 Our fleet of trucks service the Greater Brisbane area daily. Our standard delivery service uses an 8 tonne Crane Truck. If your order is unable to be delivered on this, additional freight charges will apply. Wilson Timbers will assess customer orders and if possible deliver using a Utility vehicle; a 50% discount will be applied to your postcode delivery cost. Customers will be notified and their orders adjusted when applicable. If you live outside the Greater Brisbane Area, or if you are an interstate customer, simply enter your address when applying for a quote. Wilson Timbers will inform you of the delivery charge as soon as possible. If you have any inquiries regarding delivery, please contact us for more information. "Please note that the price shown includes GST"